Create a sophisticated new look in your home or office with superb Quickstep Impressive Soft Oak Natural laminate flooring. 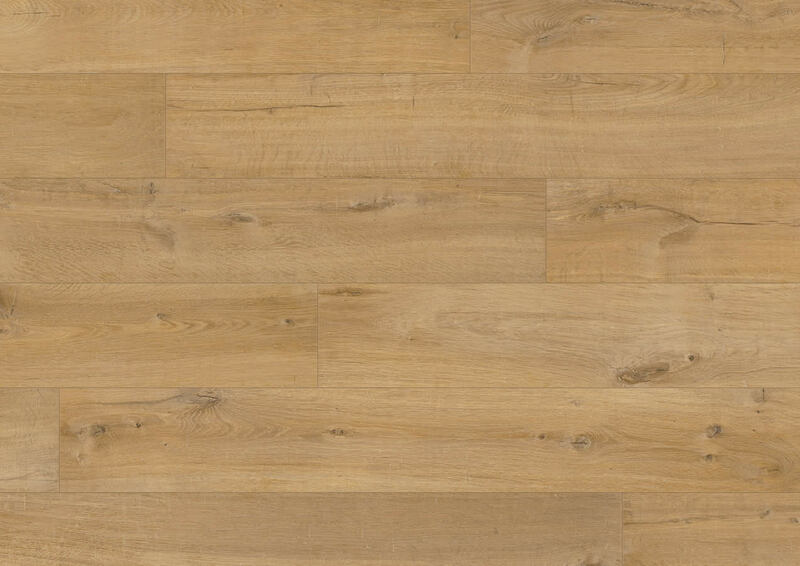 Each oak effect wide plank is designed with realistic wood grain patterns. Enjoy the flooring for longer with a 25 year warranty, and in the bathroom take advantage of a 10 year water warranty*. Order your Quickstep Impressive Soft Oak Natural laminate flooring from Flooringsupplies.co.uk today. Great service, great price. Customer Services we’re very helpful and the delivery was made right to my door by a very courteous and helpful driver. I’ve now laid my new flooring and it looks great. Many thanks. Knowledgeable staff with good advise and prompt delivery. Quality of flooring excellent and easy to fit. I am currently looking at flooring options for our kitchen extension. It's a large area of around 70sqm and I'm trying to decide the best type of flooring. For wood effect, I prefer a long herringbone pattern. Is this possible with laminate?